The world of cryptocurrencies has seen a plethora of coins appear during the past five years. In total, the cryptocurrency market has reached a number of more than 1000 tokens and a total market capitalization of about USD 260 billion as of November 2017, as the following chart shows. This amounts to an increase of more than 1,200% from what the crypto market was worth just twelve months ago. With these numbers in mind and Bitcoin continuing to outperform many traditional assets, it comes as no surprise that private and institutional investors long for cryptocurrency exposure. Some companies have started offering cryptocurrency funds that focus on Bitcoin, such as the US-based Bitcoin Investment Trust sponsored by Grayscale Investments. 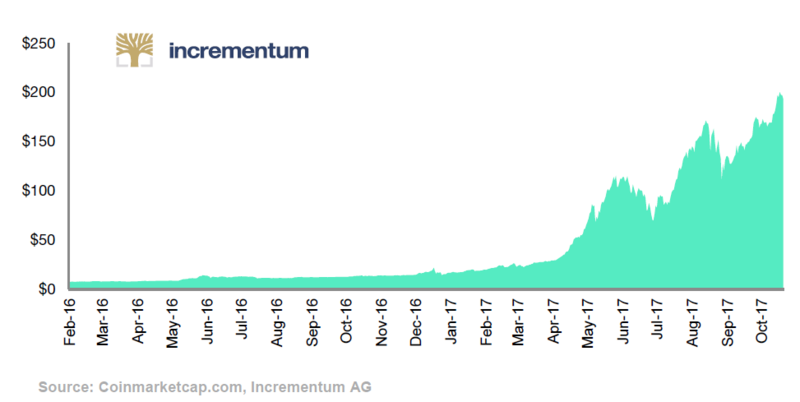 More recent cryptocurrency funds, such as the one by Incrementum that will be launched soon, are investing in a basket of cryptocurrencies in order to provide diversification benefits for investors. As the article “U.S. Regulated Bitcoin Derivatives: Blessing or Curse?” in the inaugural edition of the Crypto Research Report points out, even option and futures trading will soon become available for Bitcoin. The number of investment vehicles is growing almost as quickly as the market itself. The central question that investors ask, however, remains the same as with any other traditional asset class: How can I profit the most from the developments in this market? How can I hedge positions, reduce risks, and implement sophisticated investment strategies? The choice of the right investment strategy differs with each individual and their specific goal. A portfolio destined for a down-payment on a house is most likely going to look different from one that is supposed to finance a private pension one day. A reasonable strategy for private investors looking for consistent long-term gains is so-called indexing. Indexing refers to the allocation of assets in a portfolio so that the portfolio’s performance matches that of an index. This approach has been recently popularized by the financial expert Gerd Kommer. In his comprehensive work on indexing, Kommer states that more than 75% of all equity and pension funds fail to outperform a correctly selected benchmark (i.e. the market) in the long run. This situation can be further illustrated by the S&P Indices Versus Active (SPIVA), which measures the performance of actively managed funds against their relevant S&P index benchmarks. The most recent SPIVA U.S. scorecard showed that during the one-year period ending December 31, 2016, 66% of large-cap managers, 89% of mid-cap managers, and 86% of small-cap managers underperformed the S&P 500, the S&P MidCap 400, and the S&P SmallCap 600, respectively. The chances of outperforming the market diminish further as we increase the time frame under scrutiny. During the five-year period ending December 31, 2016, 88% of large-cap managers, 90% of mid-cap managers, and 97% of small-cap managers underperformed their respective benchmarks. To counter such bleak prospects for investors, Kommer suggests a radical cost optimization strategy based on passive investing, buying, and holding. While active investing is driven by the desire to outperform – or beat – the market, indexing enables investors to invest with the market, not against it. After all, the market is a dynamic process, which is spontaneous and highly complex, comprising billions of people with an infinite range of goals, tastes, valuations, and practical knowledge. Individual investors cannot consistently yield better results than the market because no one can aggregate and understand all of the individual knowledge possessed by each market participant. However, there are problems associated with passive investing as well. First of all, performance patterns change constantly. Some periods, active managers outperform passive managers and vice versa. Passive investments rely on bull markets to produce gains. In comparison, active managers can make manual decisions in a bear market. 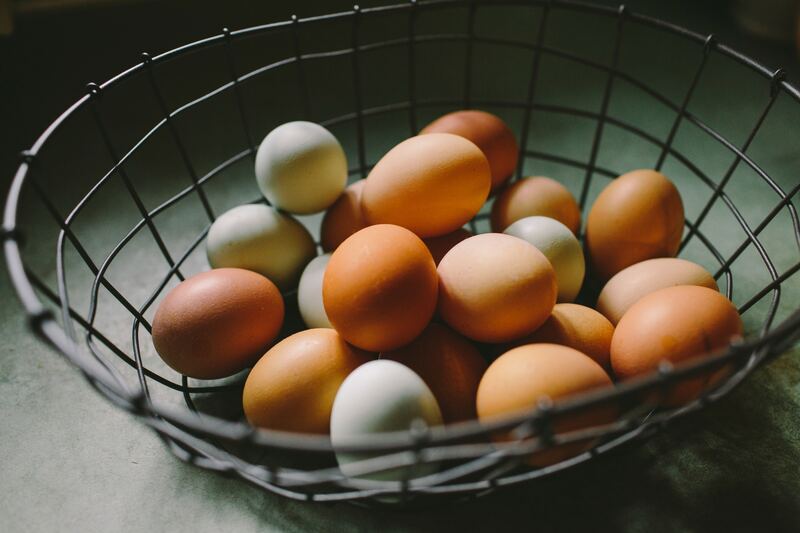 Once again – diversification – even on the level of management strategy appears to provide the highest return for a given level of risk. Keeping in mind the empirical and theoretical considerations highlighted above, we aim to develop a cryptocurrency index that tracks the entire cryptocurrency market. A professional index will give market participants a quick, concise impression of the direction of the relevant market segment or asset class. Primarily, an index serves as a benchmark and is a reference point for index investments. Most stock investors are familiar with ‘popular’ indices such as the German DAX, the Dow Jones, the British FTSE 100, or the SMI. Aside from these popular indices, there are lesser-known but often much more useful index families by specialized providers such as the S&P. The DAX index measures the performance of the 30 largest and most liquid companies on the German stock market, thus representing around 80% of the market capitalization of listed stock corporations in Germany. The wider the index is, the less often its composition needs to be readjusted, which in turn reduces costs for index investments. Currently, there are only a handful of cryptocurrency indices; unfortunately, these indices have disclosed very little to no information on their specific methodologies. In two articles published online, Thomas Ankenbrand and Denis Bieri from the Lucerne University of Applied Sciences and Arts briefly discuss several features of their Cryptocoin Index. However, no academic papers on the theory and construction of a cryptocurrency index have been published yet. So far, the most promising venture is the TaiFu index family provided by the Americans Tai Zen and Leon Fu, who started their service in June of this year. The TaiFu index family is market-capitalization weighted and consists of three separate indices. The TaiFu 30 Index tracks the largest 30 cryptocurrencies on a daily basis. The TaiFu 30 Altcoin Market Index measures the theoretical market capitalization of the 30 largest cryptocurrencies on a daily basis, excluding Bitcoin or any hard forks of Bitcoin such as Bitcoin cash. The TaiFu Bitcoin Aggregate Index focuses on the total market capitalization of Bitcoin and all hard forked versions of Bitcoin that share the same genesis block that was created by Satoshi Nakamoto in January 2009. The originators point out that there are two practical issues with their indices: (1) a real-world cost of slippage, commissions, and taxes and (2) the impracticability for investors to rebalance their portfolios on a daily basis. As Zen and Fu explain on their website, the indices were created “to help investors, reporters, hedge funds, institutions etc. gauge the health and ‘pulse’ of the cryptocurrency markets”. Their indices are not made for actual investment purposes. Therefore, we have developed a different approach to composing a cryptocurrency index. The same way a stock market index records changes in the value of an equity basket (or portfolio) that represents a specific market or segment thereof, a cryptocurrency index should model changes in the price of cryptocurrencies. The goal of the cryptocurrency index – henceforth referred to as Cryptocurrency Market Index, or CMI – is to provide a broad-based exposure to the crypto market, where no single cryptocurrency or specific group thereof dominates the index. Rather than being driven by microeconomic events that affect only one specific coin or type of coin, the CMI aims to fairly represent the diversity of the cryptocurrency market. There are several different methods to construct an index. In general, indices can be categorized as either price-weighted or capitalization-weighted. 1. Price-weighted: A price-weighted index holds assets in proportion to their prices. Price-weighted indices include an equal number of each asset in their basket; their weighting method is simple to understand and their daily value easy to calculate. If an index contains three stocks A, B, and C with current prices of $3, $8, and $10 respectively, the ABC index level is calculated as $21/3 = $7. Therefore, share A would have a weight of $3/$21 = 1/7 of the entire index. 2. Capitalization-weighted: The problems with the price-weighted index can be overcome by weighting the assets according to market value, which is measured by capitalization. In contrast with a price-weighted index, a capitalization-weighted index hold assets in proportion to their market capitalization. For example, if Bitcoin holds 60% of the entire market capitalization and Ethereum holds 20% then the portfolio allocation will have 60% of the funds invested in Bitcoin and 20% invested in Ethereum. The remaining 20% will be invested in the rest of the cryptocurrencies according to their proportion of the entire cryptocurrency market. The popularity of capitalization-weighted indices, such as the Laspeyres index, mostly comes from the fact that they are simple to understand and have a low turnover ratio. The latter results in decreased costs for the fund and increased returns for shareholders. define a limit for the maximum weights for each cryptocurrency in the CMI. Secondly, there is a danger that cryptocurrencies with a small free float may carry greater weight in the calculation of the index than they do in actual trading. A small free float will generally lead to increased volatility of the coin price, a wider bid-ask spread and reduced liquidity. It will take a transparent rules-based approach in order to prevent these problems from affecting the viability of our index. To keep up with the latest events in the rapidly evolving crypto market, rebalancing has to be given special attention. The CMI rebalances monthly to ensure a transparent and up-to-date index basket. All cryptocurrencies in the index are denominated in USD. As cryptocurrencies entered the financial world only recently, investors should be aware of specific types of risk associated with the cryptocurrency market. These risks naturally pertain to any index replicating the cryptocurrency market. Two main risks exist: (1) extreme volatility in prices and liquidity and (2) uncertainty stemming from the regulatory framework around cryptocurrencies. Due to the idiosyncratic nature of the supply of many cryptocurrencies and their largely speculative demand, prices change unpredictably. Bitcoin’s volatility mostly results from its built-in quantity commitment: variations in the demand for Bitcoin are accommodated almost entirely by variations in its price. When demand rises, there is virtually no quantity increase to dampen the rise in price; and vice-versa for a fall in demand. The lack of liquidity compounds the problem of fixed supply. Liquidity volatility can cause price distortions and in the worst case, investors may not be able to close or open a position. The second major risk pertains to government regulation and intervention. Until today, the legal status of Bitcoin – and other cryptocurrencies – varies substantially from country to country. While it is mostly tolerated by governments in the Western world, a considerable amount of countries has not issued a legal opinion on the matter yet or bans the use of it completely. Such regulatory uncertainties can affect the price: When regulators in China recently outlawed initial coin offerings (ICOs) by declaring them “an unauthorized and illegal public financing activity”, the price of Bitcoin dropped from almost $5,000 to only $4,300 in less than 24 hours. A specific challenge for the Cryptocurrency Market Index will be potential errors in data sources or other errors that may affect the weighting of constituents of the index. Eventually, the calculation, publication of the index values or other changes deemed necessary might be subject to discretion of the index provider. As we pointed out above, the current cryptocurrency indices in existence have disclosed very little to no information on their specific methodologies. The cryptocurrency market is rapidly evolving. The supply of cryptocurrency-related financial products has an equally large growth potential. The Cryptocurrency Market Index (CMI) is one step in the direction towards a more developed, investor-friendly cryptocurrency market. Indexing is a time-proven method that does not rely on data or theory. Investors who would like to gain a broad exposure to the cryptocurrency market can use the index as an allocation strategy or as a benchmark for active portfolio management. The market capitalization of a cryptocurrency is calculated by the price of a coin multiplied by the number of coins in existence. 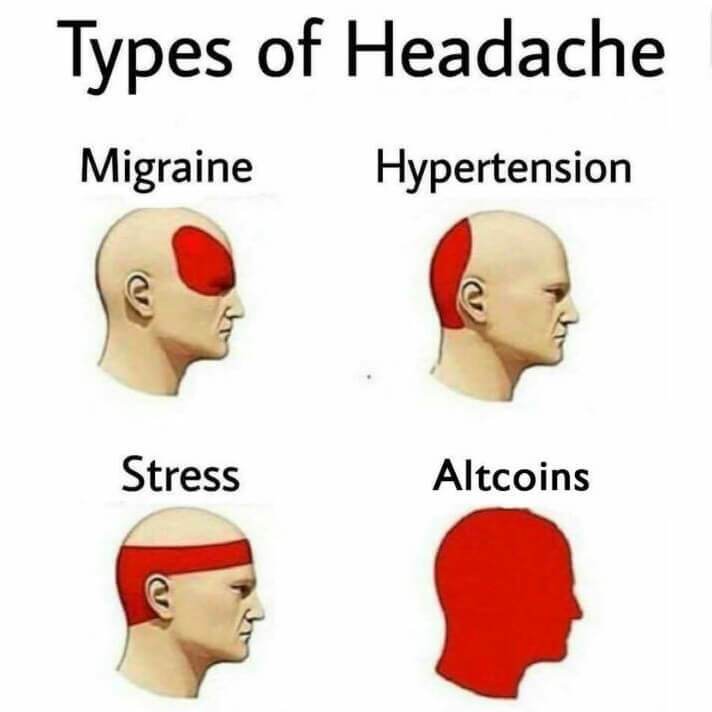 This is an estimate, however, because an uncertain number of coins are irretrievable in the network since users forget their private keys or send coins to the wrong addresses. Kommer, G.(2015). Souverän investieren mit Indexfonds und ETFs: Wie Privatanleger das Spiel gegen die Finanzbranche gewinnen. Frankfurt am Main: Campus, p. 9. Huerta de Soto, J. (2010).Socialism, Economic, Calculation and Entrepreneurship. Cheltenham: E. Elgar Publishing, p. 35. Slippage refers to the difference between the expected price of a trade and the price at which the trade is actually executed. Slippage may occur during periods of higher volatility when market orders are used or in the execution of large trades. For further reading on indices, see Brentani, C. (2004). Portfolio Management in Practice.Amsterdam: Elsevier, 2004, pp. 55-67. This is a simplification of how to build a capitalization-weighted index. The two most common ways to design a capitalization-weighted index are the Laspeyres method and the Paasche method. The Laspeyres method generates a base-period quantity-weighted index by measuring the current period prices of the index constituents weighted at the base period relative to the base period prices of the constituents weighted at the base period. For our purposes, the Laspeyres method proves to be superior to the Paasche method because it facilitates comparisons over time and requires less data. Similar to stocks trading, we use the term free float to refer to the number of coins freely available to the investing public. 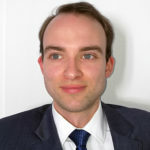 Georg Bühler is a PhD student at Rey Juan Carlos University in Madrid, Spain. His research focuses on the economics of digital currencies such as Bitcoin and their price formation. He is also interested in Austrian economics and scientific approaches to portfolio management.